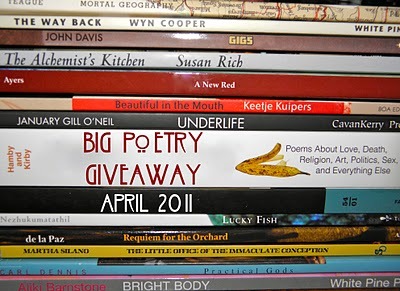 Kelli Agodon started a lovely rejuvenating practice last April called The Big Poetry Giveaway, where folks all around the country posted two poetry collections that they would be giving away to celebrate the month. If you want to take part, she has the directions here. This year I will be giving away two books by two of my favorite women poets who are also very generous and giving. These two poets rank very high in my poet pantheon. Not only are they wonderful people, but they are both amazing poets. When I consider the way that I’d like to be in the world, these two poets spring to mind. 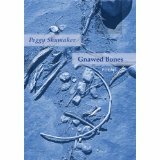 Gnawed Bones by the amazing Peggy Shumaker. This book has the most striking imagery and voice. Anyone who has heard Peggy read knows how mesmerizing her poems are aloud, and they are just as captivating in print. Filled with loss and awe, Gnawed Bones is my go-to book to give to friends. So, friend, please leave a comment and you might have Peggy’s book winging its way to your home at the end of April. 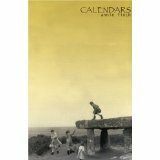 Annie Finch’s book Calendars is also filled with vivid images and mastery of voice and diction. Like Peggy, Annie is fearless when exploring the body and the emotions that inhabit it. Her work unabashedly explores the myths and ethos of the feminine. I return to this collection again and again to ground myself in the musicality of the line and way word choice can swing a poem in multiple directions. Once again, in order to have a chance at winning either of these lovely books, all you need to do is leave a comment on this post. If you don’t link to your own blog, make sure that you leave your email so I can contact you for mailing information if you win.